Inky Antics Clear Stamp Set 5.5"X4"
Inky Antics Clear Stamp Set 5.5"X4" - INKY ANTICS-Clear Stamp Sets. These adorable designs are perfect for cards and other paper crafts! 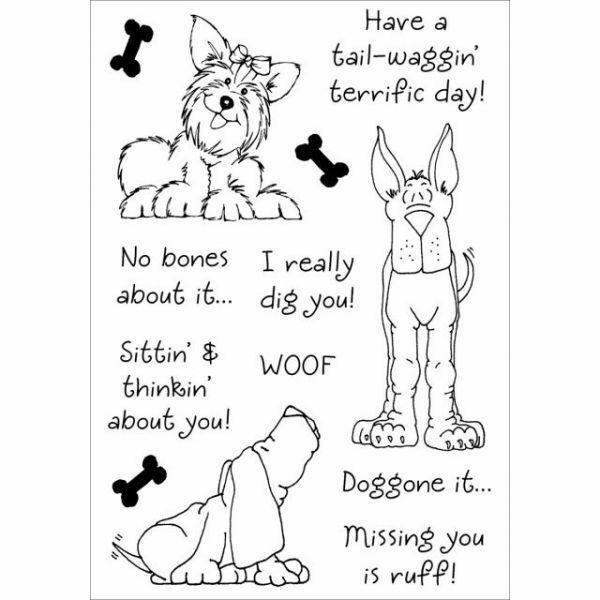 This package contains Delightful Dogs #2 Set: 13 stamps on a 5-1/2x4 inch sheet. Made in USA.